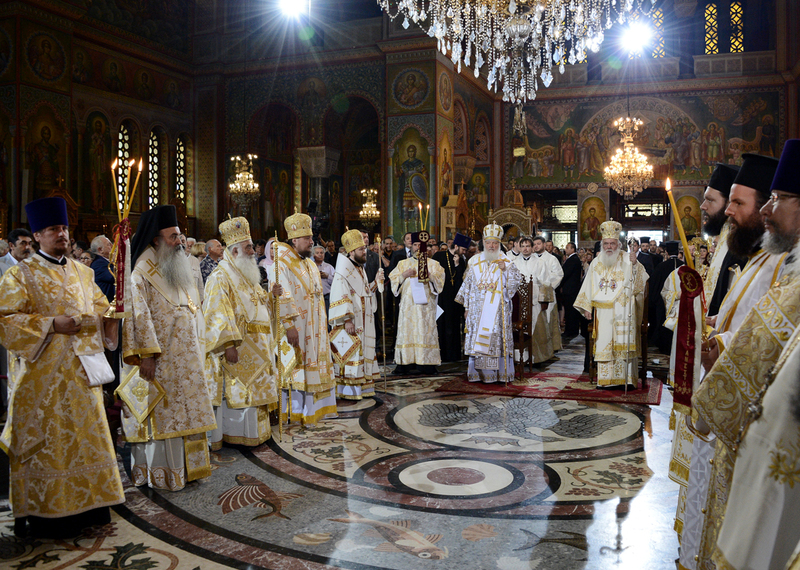 On 2 June 2013, the fifth Sunday after Pascha, His Holiness Patriarch Kirill of Moscow and All Russia and His Beatitude Archbishop Hieronymos II of Athens and All Greece celebrated the Divine Liturgy at the Chu5ch of St. Panteleimon in Athens. 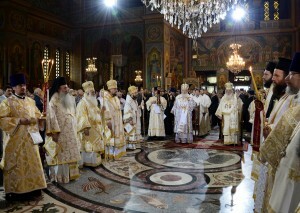 Concelebrating were ordained members of the Moscow Patriarchate delegation, Metropolitan Prokopios of Philippe, Neapolis and Thasos, Metropolitan Kosmas of Etolia and Akarnania, Metropolitan Pavlos of Sissanion and Siatista; Metropolitan Dionysios of Korinthos; Bishop Prokopios of Christianoupolis; and Bishop Gabriel of Diavlia. Praying in the sanctuary were Archbishop Damianos of Sinai, Pharan and Raitho, head of the Autonomous Archbishopric of Sinai, and archpastors of the Church of Greece. The divine service, which gathered many worshippers, was celebrated in the Greek and Church Slavonic languages. His Holiness Patriarch Kirill made some exclamations in the Greek. The Greek Byzantine Choir of the combined Russian Choir Panagia Sumela sang at the Liturgy. The Greek ERTI TV-channel made a live broadcast from the church.